“I remember feeling like someone had just kicked me in the stomach,” reflected Emiryan. 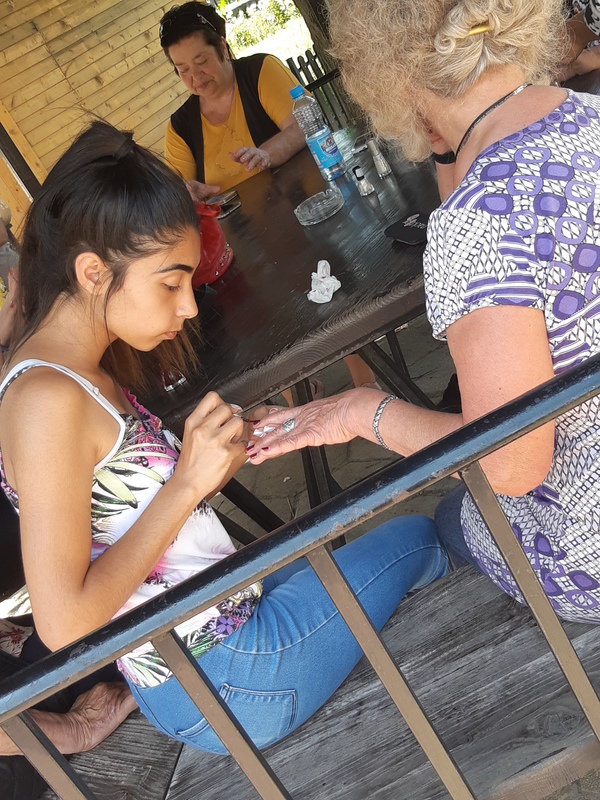 “I pulled myself together and told them that can’t be the case, and everyone is good at something!” She asked one girl what she liked to do, and the girl said she liked to do her friends’ nails. Another said she liked to cook and see people try what she creates. In just a few minutes and with that small prompt, each student began to realize that they had something they enjoyed and could turn into service to share with the world. Learning to Give Bulgaria is a program of the non-profit membership organization Bulgarian Donors Forum that brings together companies and foundations engaged in philanthropy and giving. A little over three years ago the organization decided to jump into the adventure of Learning to Give, because they believed that one of the ways to develop a giving culture in Bulgaria is to work with children and young people. The goal of Learning to Give Bulgaria is to cultivate a broader knowledge, as well as the skills and understanding of philanthropy and civic engagement. With the help of Learning to Give USA’s executive director, Betsy Peterson, Emiryan and others combed through the website and selected the best lesson plans to translate for use in Bulgarian classrooms. In just two years, www.learningtogive.bg published over 400 lessons and implemented a philanthropy education and service-learning program with 51 teachers throughout the country. Over 1,000 students have learned about giving, service, and the power of community! While the Bulgarian website is open to all, the Bulgarian team works closely with and mentors selected teachers to help them plan lessons, develop projects, and introduce students to local and international nonprofit organizations and companies. The teachers feel much more confident, open to people’s problems and causes, as well as open to communicate with people outside the school circle, which is a challenge in itself as the school system is very closed in Bulgaria. Teachers say they have found new resources that they use not only in the Learning to Give lessons, but also trying to experiment and relate issues to other subjects in the curriculum. According to Emiryan’s program results, students show higher motivation and engagement in school activities. Some teachers even report that their kids have increased their academic scores and achievements and became more confident, which is especially important for bilingual children and their further success both in education and in life in general. Teachers say that kids have built their empathy and communication skills and are engaged in community life and manage to reflect on what they see around them, as well as know how to act and react in order to achieve change for the better. It is amazing to see in practice what we read – that Learning to Give brings kids together no matter what their social and economic background is, what their capabilities are. We heard so many stories from school psychologists, parents and kids themselves to prove that. “The kids were eager with every lesson, especially if there was a guest involved. The visits from people from outside the school changed the way they think and perceive the world. It enriched their knowledge and positions in life," said Neviana Ivanova, ateacher from Sofia, Bulgaria. Learning to Give Bulgaria has gained the attention and support of the Ministry of Education and is recognized by the president of the Republic of Bulgaria. They have received funding from several Bulgarian foundations and corporations to continue their important work. Through experiences like these and the transformation of students’ social emotional wellbeing, as well as their academic achievements, Learning to Give Bulgaria is making strides and providing a solid framework for which to empower the next generation to be giving and caring citizens.